Billionaire Alex Ben Raschid can’t remember the last time he heard the word “no.” As Houston’s economic powerhouse and heir to a vast, oil-rich Middle Eastern sheikdom, Alex is used to getting what he wants. And when he lays eyes on Sabrina, the sensuous redhead hired to belly dance for his party, he wants her . . . and immediately sets out to possess her — heart and soul. But it is clear that his virile and arrogant manner will never win him Sabrina’s heart. Could Alex ever be humble enough to sway her? From an early age, Sabrina Courtney has had to fend for herself. And ever since the man who has always been like a brother to her suffered a medical tragedy, she’s been caring for him, too. 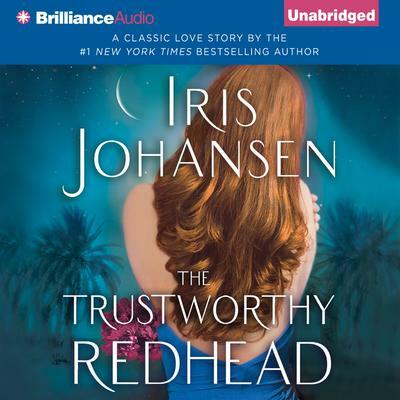 Paying the bills with her NoveltyGram job, keeping them both afloat — that’s what matters to the trustworthy redhead. So when Alex begins to ferociously pursue her, Sabrina is unimpressed. She’s certain that the mansion, the Italian sports car, and the smoldering eyes get him everything he wants and more from other women, but Sabrina is not like other women. She cannot even imagine falling for the billionaire — until she does.